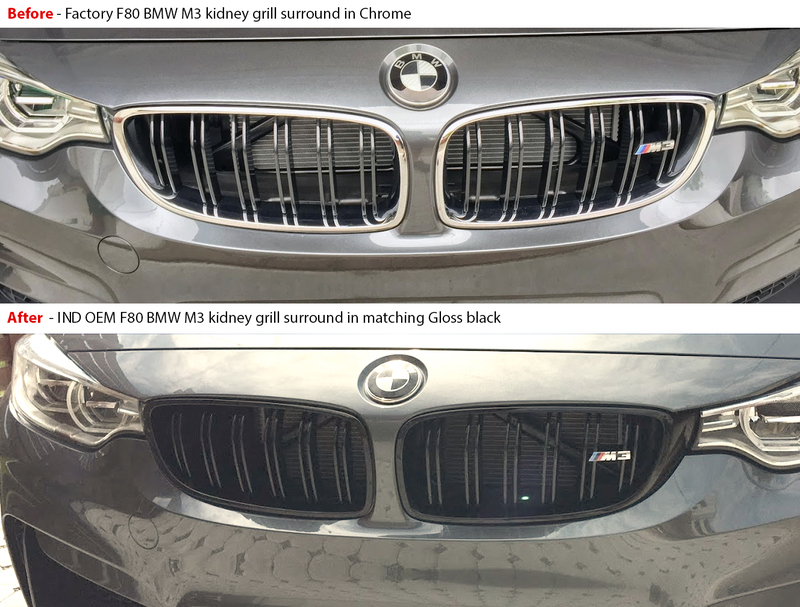 I changed the kidney grill “bib” from the factory chrome to a matching black; this is apparently pretty common cosmetic upgrade/change, and it was ultimately pretty easy to do–however, i found the online documentation/help to be a bit confusing so I thought I’d pass my learnings forward herein for others, feel free to post a question if I can help you out with more details. First, I bought from IND who were very good with customer service, prompt on delivery, and super knowledgeable when i called a few times with questions before and after purchase. Highly recommend. 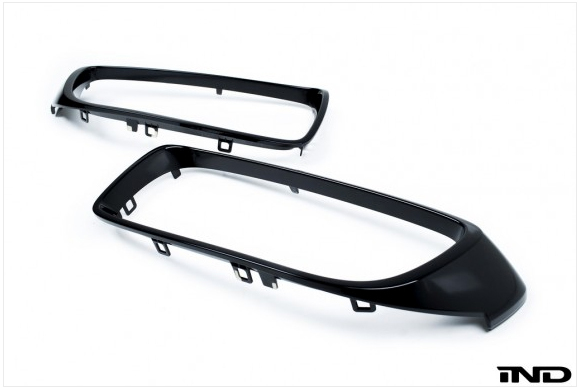 Here’s the F80 Front Grill Surround part that i ordered. Despite being much harder/trickier then the IND video made the project look, it is actually only a 10 minute project and very DIY… just a little tighter space to work with and some small hands come in handy given the tight spaces. 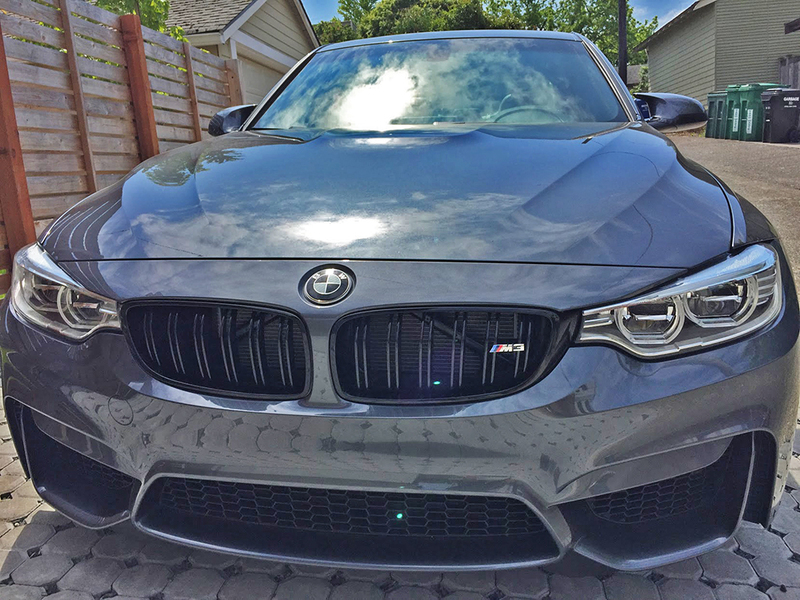 I love the result and i think it is a great cost/benefit upgrade, much better looking! 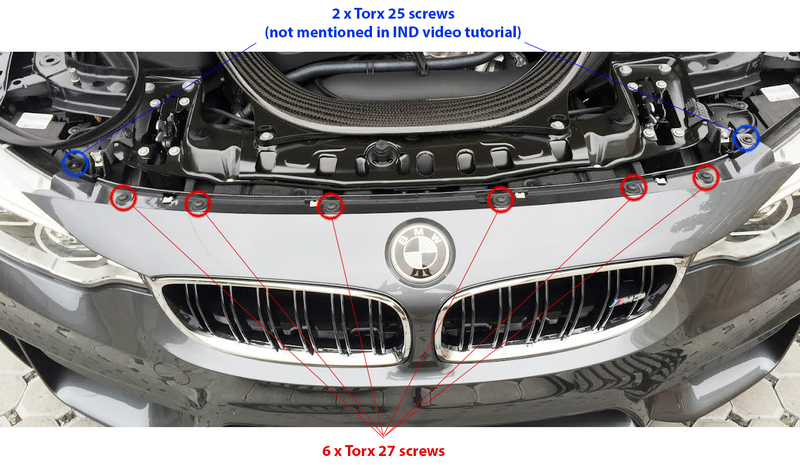 In photo above: try to get one grill off first by starting with top 3 fasteners, then either the left/right one which allows to start to pull out of frame (as seen in picture, where top 3 and left 1 (so 4 of the 8) have been unfastened), with the right 1 and the bottom 3 still to go. Once all 8 of them are unsnapped, the piece just pops out. And THEN, the other grill is easy, as you can now stick your hand through the empty space you created, making for a much faster remove of the 8 snaps. It took me 10 minutes to do the left grill, and less than 1 minute to repeat for right side. 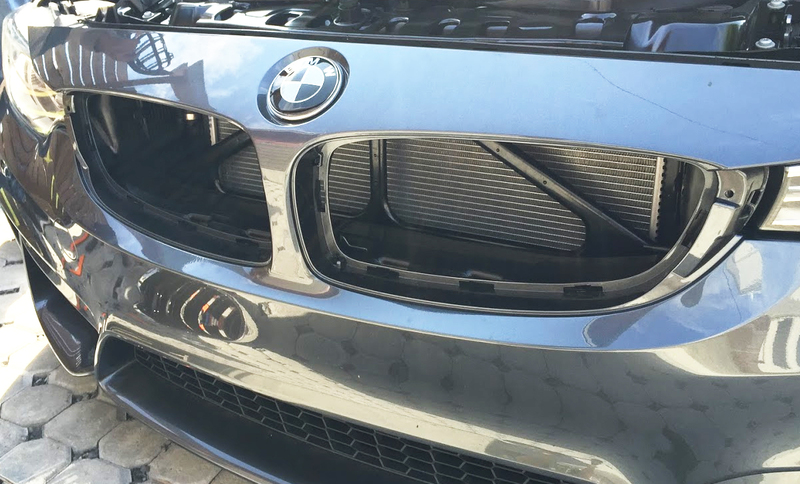 Photo below: shows both grills removed. Inserting the new grills is a simple push/snap gesture, takes 2 seconds each. 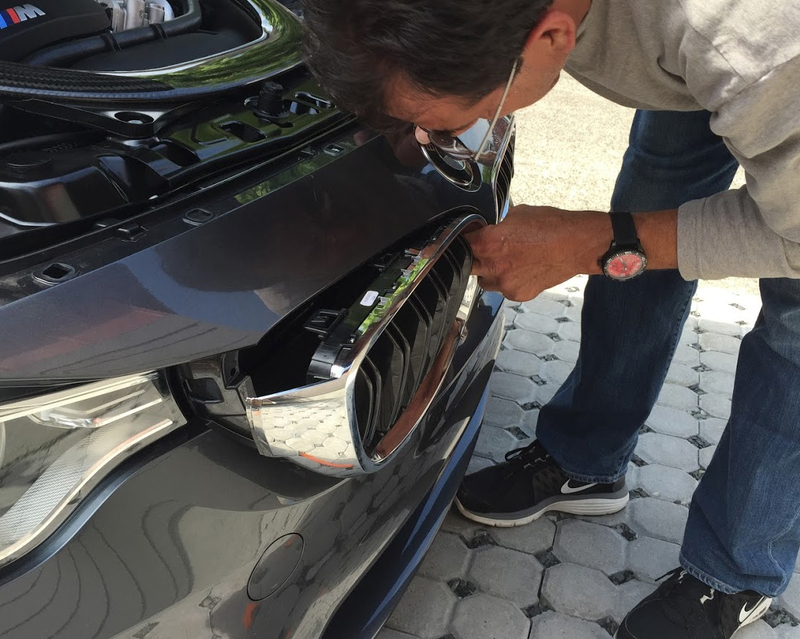 So all the work is in getting the existing grills to pop-off! Life is great. The M3,house, kids on the way Lucas land. View from Mindego beautiful today. Keep in touch.